Constructed from AISI 316 stainless steel, these roller-ball type locking cable-ties have a smooth internal surface, making them suitable for all types of cable insulation. They are intended for applications where fire, corrosion, weather and chemical resistance is required. 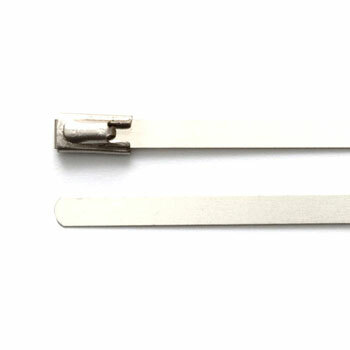 Due to the high melting-point of 316 stainless steel, these cable ties are generally accepted as fire-resistant, making them suitable for complying with the IET Wiring Regulations - 18th Edition, which come into force on 1st January 2019. Changes set out in Chapter 52, expand the requirement for non-combustible fixings to be used, not only in escape routes, but now throughout an entire installation, to prevent premature collapse of cabling in the event of a fire. For high-volume installations, a tensioning and cutting tool is recommended, see below in this section. Minimum loop tensile strength: 667N / 68kg / 150lbs. All items are supplied in packs of 100 pieces. 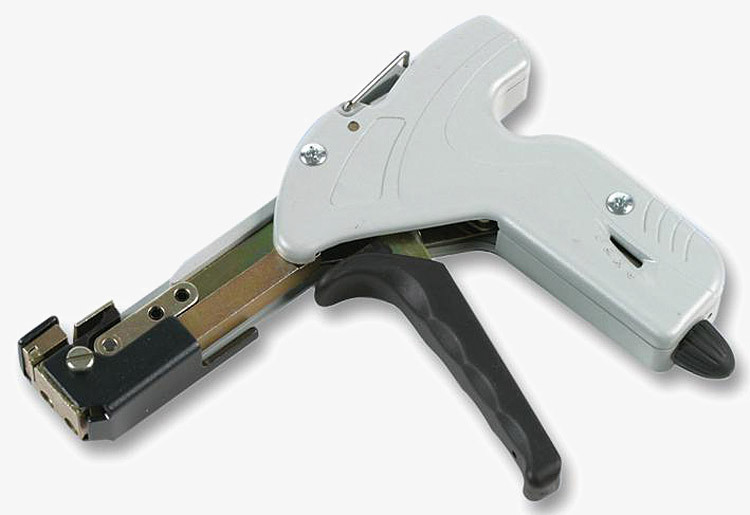 This tool will correctly tension the cable ties and automatically cut off the excess when this is achieved.